M.C.H.C. or microcrystalline calcium hydroxyapatite complex, prepared from raw bone, is in an extremely bioavailable form of calcium which has been used with great success in prevention and treatment of osteoporosis, to prevent and halt bone loss, and to restore bone density. M.C.H.C. or microcrystalline calcium hydroxyapatite complex, prepared from raw bone, is in an extremely bioavailable form of calcium which has been used with great success in prevention and treatment of osteoporosis, to prevent and halt bone loss, and to restore bone density. Additional minerals are present in the natural ratios occurring in normal bone. Vitamin D have been added to assist the formation of new bone cells. Boron is added because it has been shown to reduce urinary excretion of calcium and magnesium and significantly increase blood levels of both estrogen and testosterone. Estrogen suppresses the resorption of bone induced by a nocturnal surge of parathyroid hormone. Calcium, sodium fluoride and estrogen are the only agents whose ability to influence favorably the process of osteoporosis once it has been established. Of these, only calcium is without potential hazards. 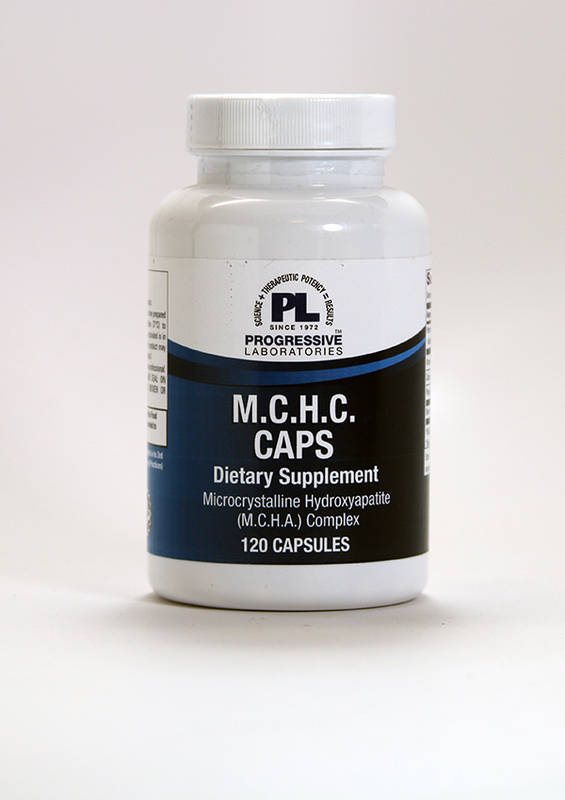 Calcium from M.C.H.C. 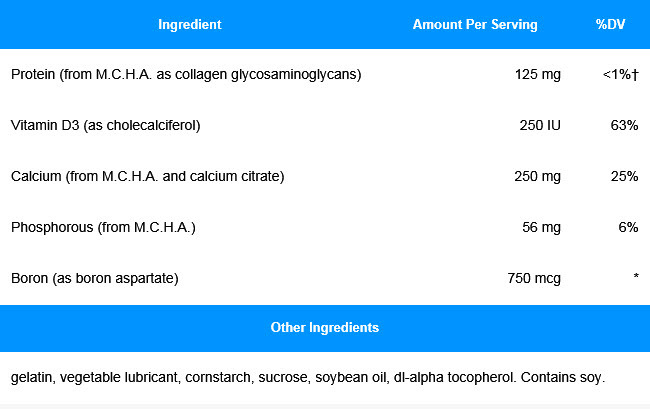 and calcium citrate are readily absorbed and utilized by the body. One capsule four times daily taken before meals.